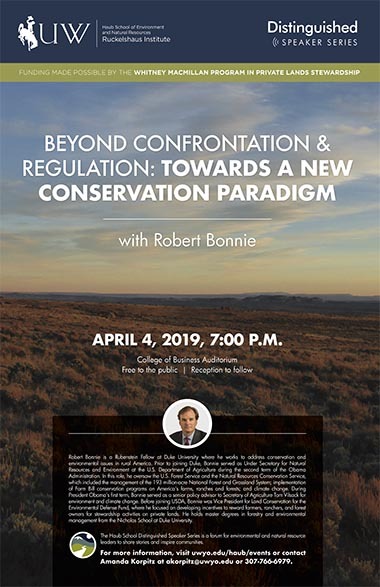 April 4, 2019 7:00 p.m.
Robert Bonnie is a Rubenstein Fellow at Duke University, working on conservation and environmental issues in rural America. Prior to joining Duke, during the second term of the Obama Administration Robert was the Under Secretary for Natural Resources and Environment at the US Department of Agriculture. In this role, he oversaw the US Forest Service and the Natural Resources Conservation Service on a variety of natural resource issues, including management of the 193 million-acre National Forest and Grassland System, implementation of Farm Bill conservation programs on America's farms, ranches and forests, and climate change. During President Obama's first term, Robert served as Senior Advisor to Secretary of Agriculture Tom Vilsack for environment and climate change. Prior to joining USDA, Robert was vice president for land conservation for the Environmental Defense Fund where he focused on developing incentives to reward farmers, ranchers and forest owners for stewardship activities on private lands. Robert has master degrees in forestry and environmental management from Duke University. He grew up on a farm in Kentucky and now lives in Virginia. Looking for a job or internship? The Haub School ENR Jobs Board has moved to enrjobsboard.org. For bi-weekly updates on events and ENR job announcements, subscribe to our email newsletter. Friday, October 12, 7 p.m.
Mountainfilm on Tour visits Laramie bringing a selection of culturally rich, adventure-packed, and incredibly inspiring documentary films curated from the Mountainfilm festival held every Memorial Day weekend in Telluride, Colorado. Held at The Gryphon Theatre on October 11-12 the shows will explore the themes connected to Mountainfilm’s mission: using the power of film, art and ideas to inspire audiences to create a better world. Doors at 6 p.m. | Films at 7 p.m.
Friday, September 28, 9-11 a.m.
Join us for our annual pancake breakfast. 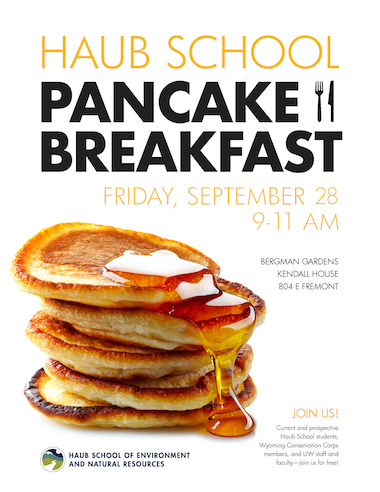 Current and prospective Haub School students and UW staff and faculty are invited to attend a pancake breakfast in the Bergman Gardens at the Bim Kendall House. 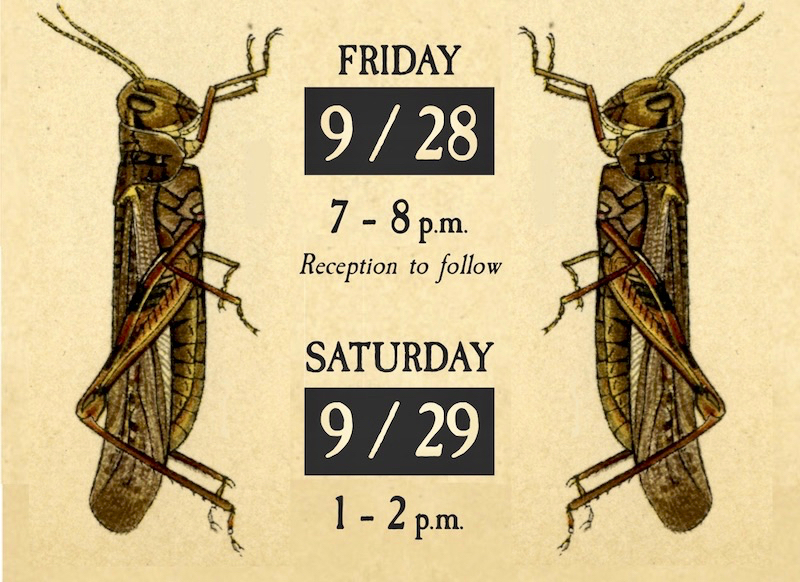 Friday, September 28, 7-8 p.m.
Saturday, September 29, 1-2 p.m.
An environmental murder mystery based on Jeffrey Lockwood's highly acclaimed book, Locust: The Devastating Rise and Mysterious Disappearance of the Insect that Shaped the American Frontier. Thursday, August 23, 2018 | 5:30 p.m. The panelists will make the “Case for Collaboration” as we look ahead to the next quarter century of work advancing solutions to complex environmental and natural resource challenges. A multi-day intensive training course designed to help mid-career professionals utilize innovative and effective financing strategies for land and resource conservation, restoration, and stewardship. 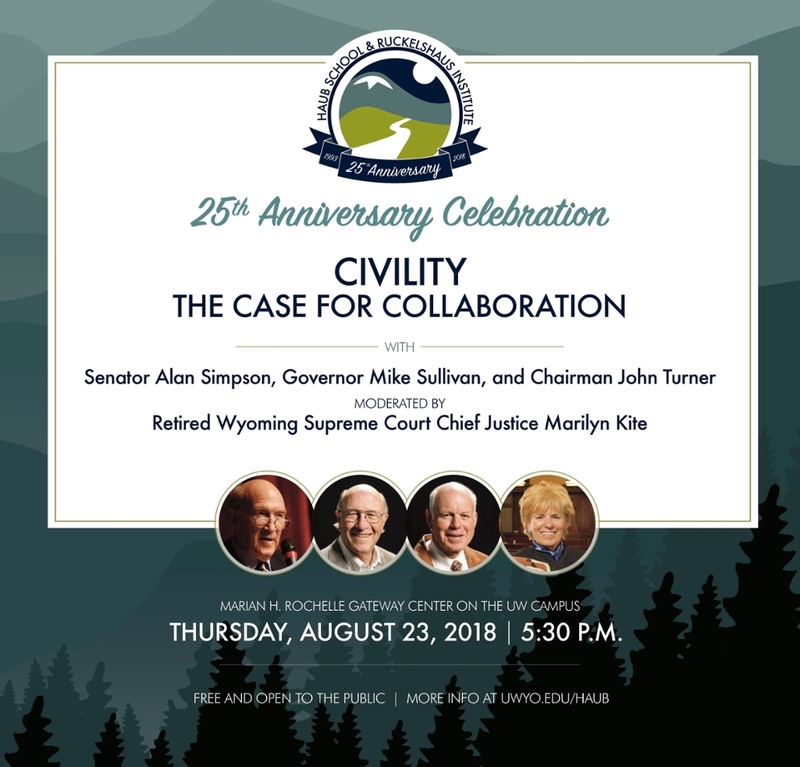 Hosted by Colorado State University's Warner College of Natural Resources in partnership with the Haub School of Environment and Natural Resources at the University of Wyoming. Please join us for a community storytelling event about an art practice that responds to the relationship between people and place with Sans façon artists Charles Blanc and Tristan Surtees. Thursday, April 26, 2018, 7:00 p.m. The panel will focus on a forthcoming book being prepared for the 1869 Powell Expedition's upcoming sesquicentennial: Vision and Place: John Wesley Powell and Reimagination of the Colorado River Basin. 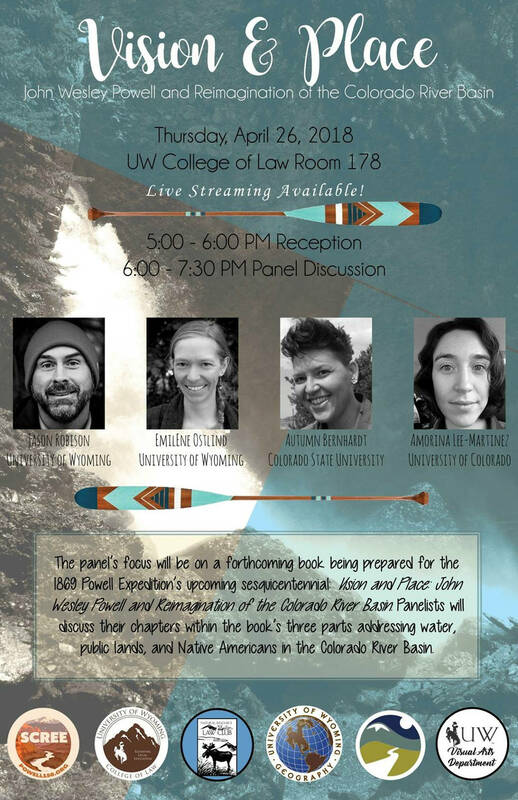 Panelists will discuss their chapters within the book's three parts addressing water, public lands, and Native Americans in the Colorado River Basin. Sponsored by the Sesquicentennial Colorado River Exploring Expedition (SCREE), College of Law, Natural Resources Law Club, Department of Geography, Haub School of Environment and Natural Resources, and Visual Arts Department. Live streaming will be available and requires pre-registration. Click here to register. Thursday, April 5, 2018, 3:00 p.m.
"Can Wyoming step into the same river twice? How to harness the future without ignoring the past." Berry Center Auditorium | 7:00 p.m.
March 1 Stories are powerful. 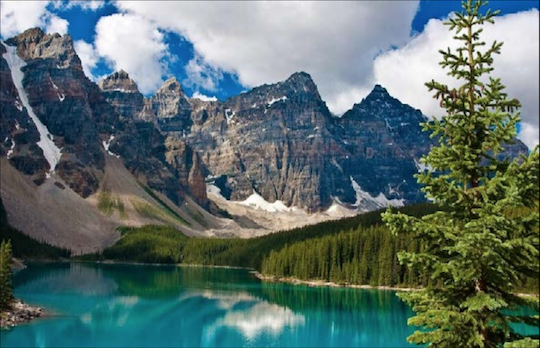 Are Wyoming's current narratives (independence, self-reliance, small government) grounded in reality or imagined? If they're imagined, then what narratives are real? How do they help Wyoming make wise choices concerning the future? 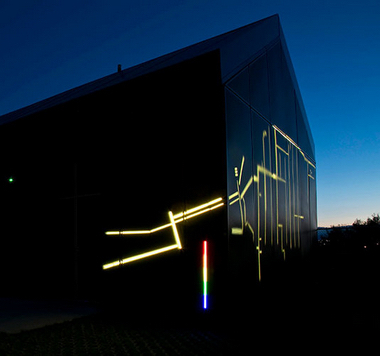 April 5 Discuss the path to blending Wyoming's past with a tomorrow that's hot on our heels. Legislative action can only go so far. It's fundamentally up to us to chart the course. But do we have the capacity to do so? If so, how do we put that capacity into action? 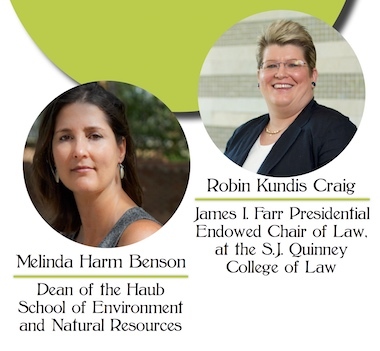 Thursday, April 5, 2018, 12:00 p.m.
Sustainability is one of environmental law's modern themes. 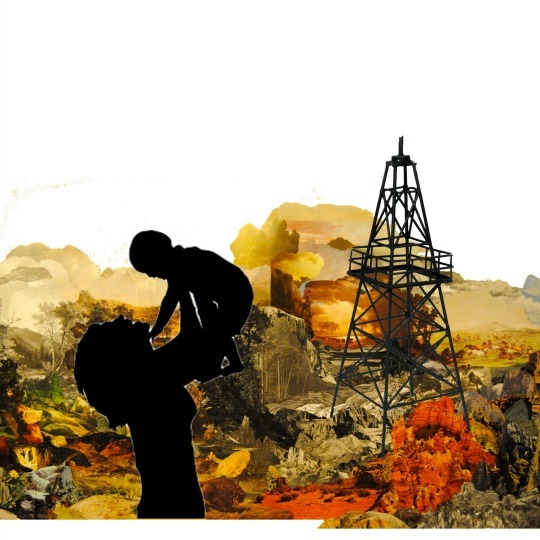 Come hear Professor Craig and Dean Benson explain why the Anthropocene era warrants moving beyond sustainability and toward resiliency thinking. 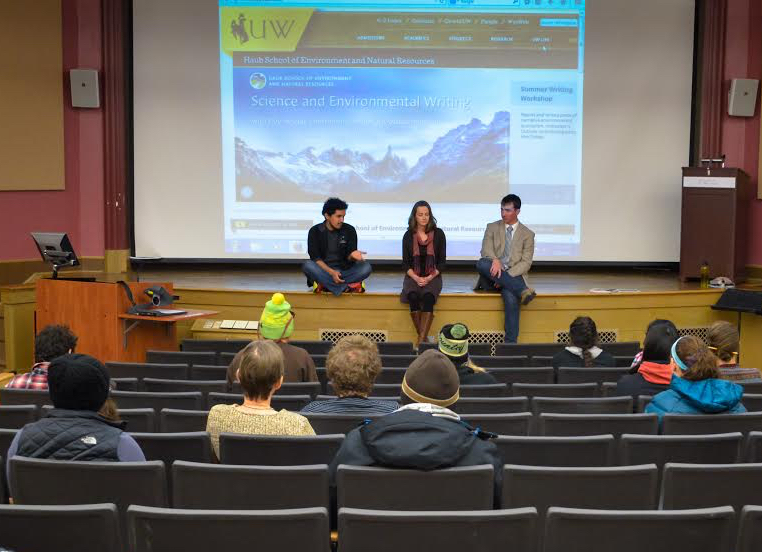 Sponsored by the University of Wyoming College of Law and the Haub School of Environment and Natural Resources. Join us for our sixth annual Career Series! Hear from working professionals about what they studied in school, how they found their jobs, what they'd do differently, and other advice for finding solid work in many fields. All UW students welcome. Thursday, March 29, 2018, 5:00-7:00 p.m. Please join us for a Western Confluence launch party, reception, and forum. Learn what goes on between the pages at Western Confluence. Get the inside story on rare, threatened, and endangered species in the West. Hear from the people whose names appear in the magazine pages. Enjoy wine and hors d’oeuvres. 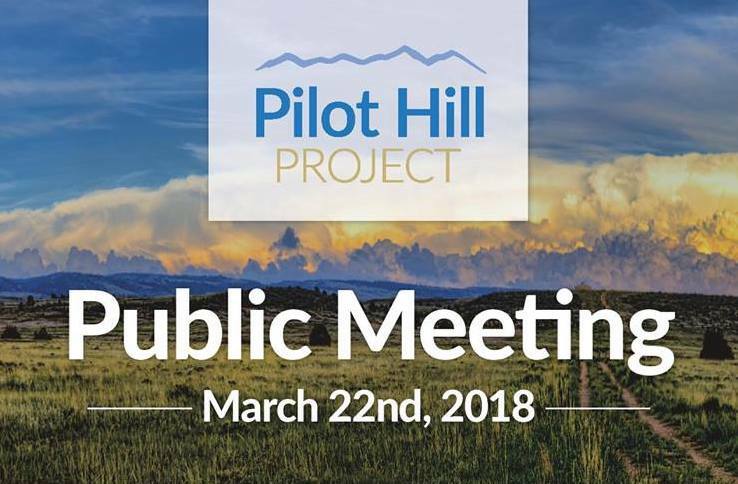 The Ruckelshaus Institute facilitated two public input sessions to help citizens better understand the communities efforts toward the Pilot Hill land purchase and to gather public input. View session 1 and session 2 on Facebook. Visit www.pilothill.org to learn more about the project. Secretarial Order on Migration: What Does it Mean for the West? Dean Melinda Harm Benson invites you to a fireside chat to discuss the implications of Secretarial Order 3326 and the possible opportunities for research and scholarship that it might create. Snacks and adult beverages provided. Wednesday, March 21, 2018, 4:00 p.m.
"Why Settle for Less? : Co-Creating the Future We Want through Community-Driven Collaborative Impact"
March 6, 2018, 7:00 p.m.
Carl Palmer is the founder of LegacyWorks Group, an impact accelerator that helps communities, nonprofits, funders, mission-driven ventures and investors achieve transformative, systems scale impact through collaborative, cross sector initiatives that tap into all kinds of funding. 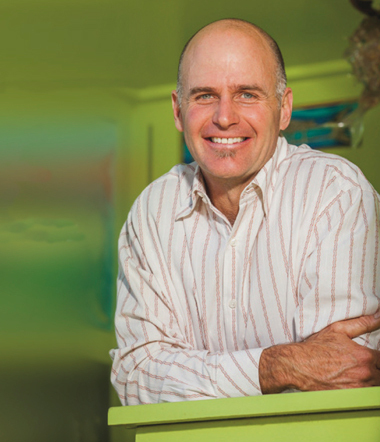 Carl has led innovative nonprofits, impact investment firms and community impact initiatives for more than 20 years. Wednesday, February 28, 2:00 p.m. 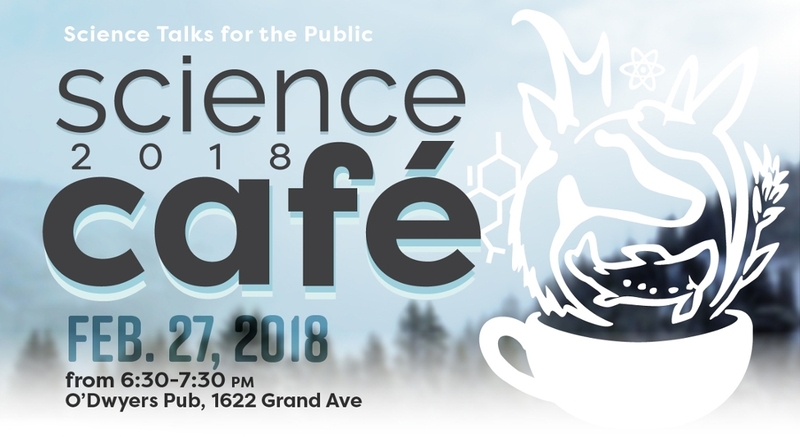 Sponsored by the Ruckelshaus Institute, Wyoming EPSCoR, the Biodiversity Institute, and O'Dwyer's pub. 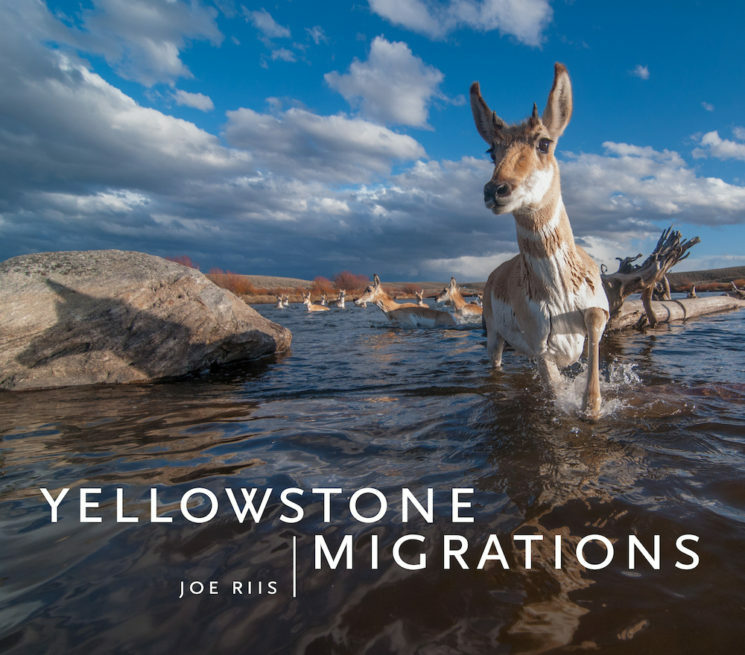 Presentation and book signing by National Geographic photographer and Wyoming Migration Initiative Fellow Joe Riis. Free and open to the public. Thursday, November 30, 7:00 p.m. Reception and book signing to follow the talk. 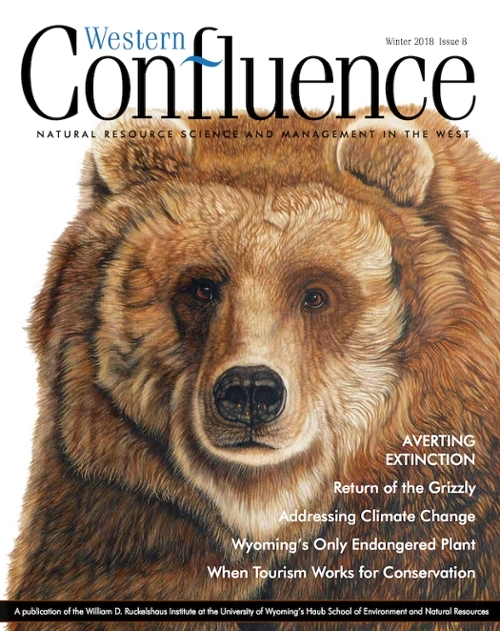 Sponsored by the Wyoming Migration Initiative, the Haub School of ENR, and Braided River Publishing.